WhatsApp has released a major update for Android that brings new exciting features. Initially, the update could only be downloaded via the company’s website but now, WhatsApp has introduced the new 2.12.250 version to its app as well. The update is now available via the Google Play Store. Users can now select custom options for tones, vibration length, popup notification, notification light and call notification tone as well. In addition, users now have the option to mute notifications for individual chats too. 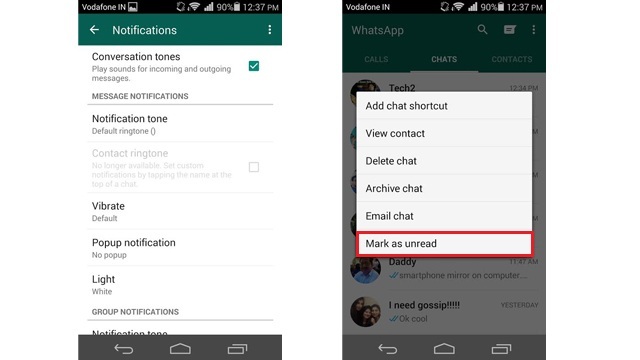 WhatsApp also brings in the ability to mark chats as read or unread by simply long-pressing the particular chat. Additionally, WhatsApp for Android also brings about low data usage option for voice calls. This works out well for areas with limited connectivity issues. One can find this feature in Settings and then, Chats and Calls. 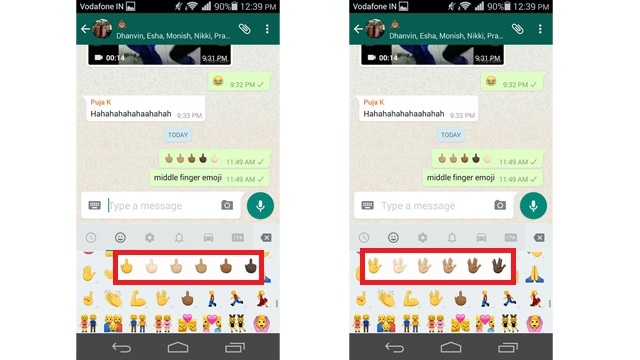 WhatsApp also brings new emojis, which offer different skin tones to the app. Some of them included is the new Spock-inspired vulcan salute along with a middle finger gesture. Users can also tap and hold an emoji to view different racial colors. When receiving a contact card, users can now quickly message or save the contact if they are on WhatsApp. The update adds in support for two new regional languages namely Urdu and Bengali. Hits: 771, Rating : ( 5 ) by 1 User(s).